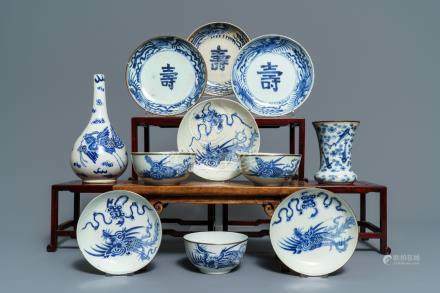 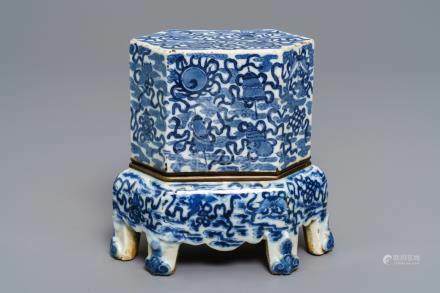 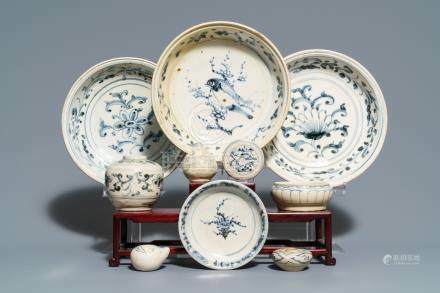 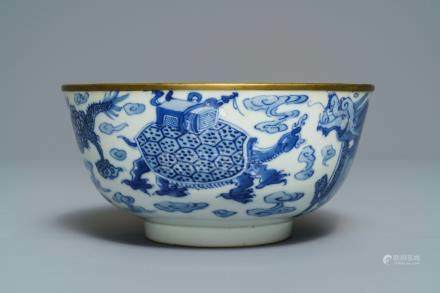 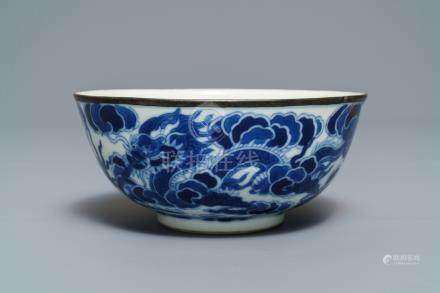 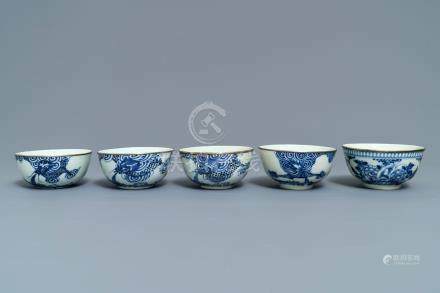 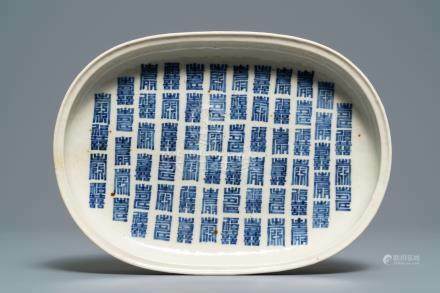 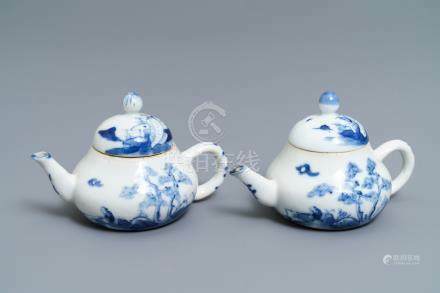 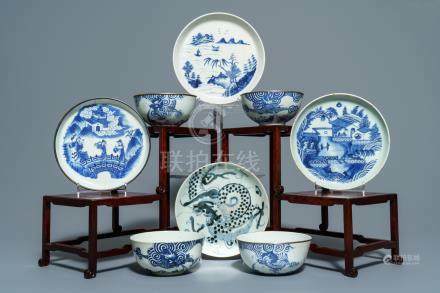 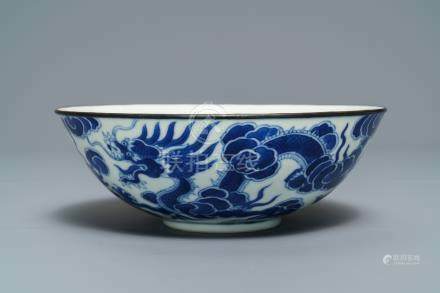 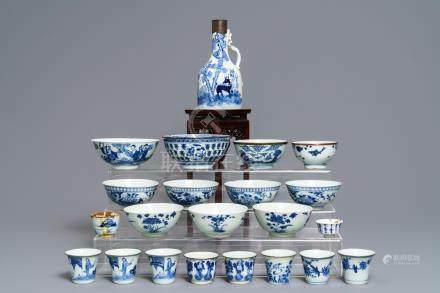 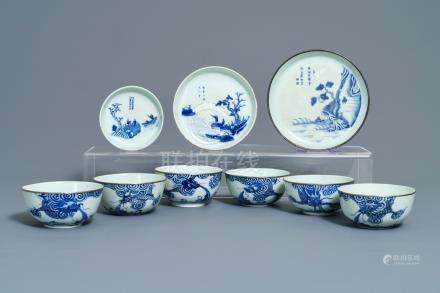 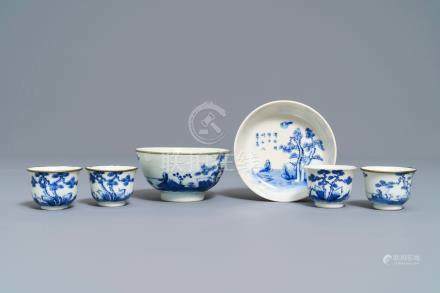 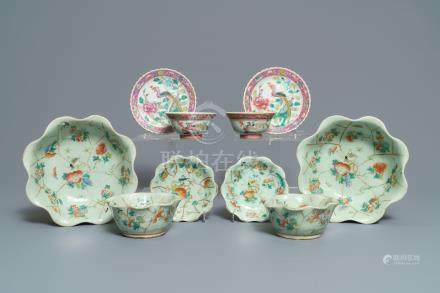 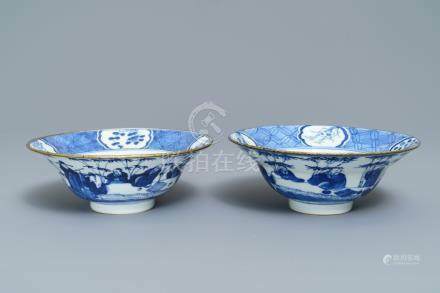 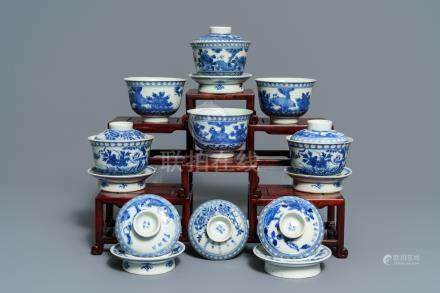 244: A pair of Chinese blue and white bowls, poss. 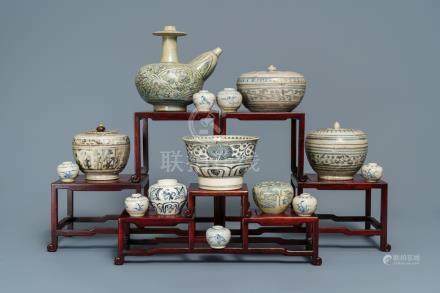 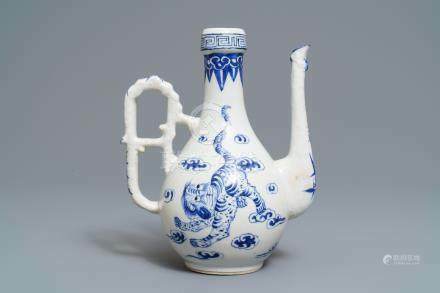 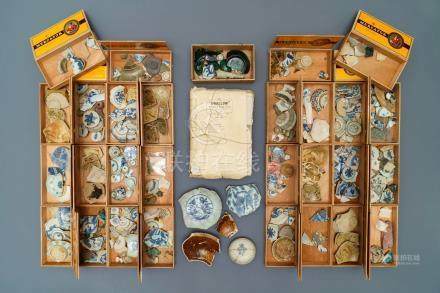 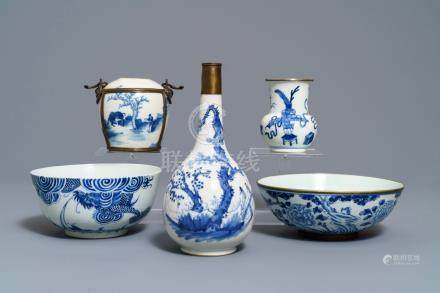 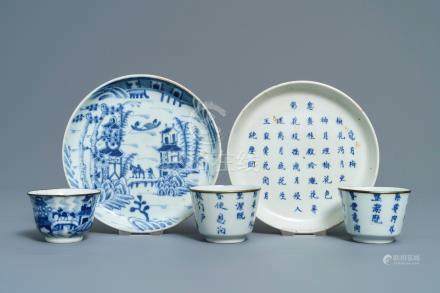 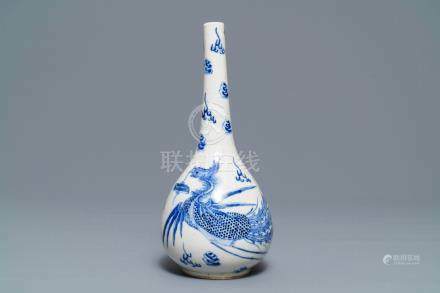 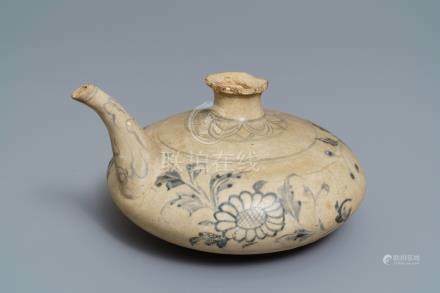 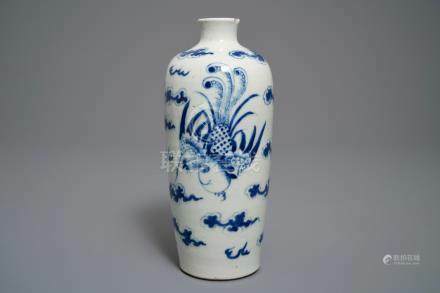 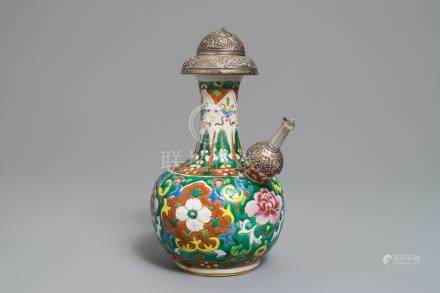 for the Vietnamese market, Kangxi mark, 19th C.
245: A pair of Chinese blue and white 'Bleu de Hue' Vietnamese market teapots, 19th C.
246: A Chinese blue and white 'Bleu de Hue' Vietnamese market jug, 19th C.
247: A Chinese blue and white 'Bleu de Hue' Vietnamese market tray, 19th C.
248: A varied collection of Chinese 'Bleu de Hue' Vietnamese market wares, 19th C.
249: A Chinese blue and white 'Bleu de Hue' Vietnamese market altar stand and cover, 19th C.
250: A collection of Chinese 'Bleu de Hue' wares for the Vietnamese market, 19th C.
251: A Chinese blue and white 'Bleu de Hue' Vietnamese market vase, Nei Fu mark, 19th C.
252: A varied collection of Chinese 'Bleu de Hue' Vietnamese market wares, 19th C.
253: Five Chinese blue and white 'Bleu de Hue' Vietnamese market bowls, Nei Fu marks, 19th C.
254: Two Chinese 'Bleu de Hue' Vietnamese market plates and three cups, various marks, 19th C.
255: A varied collection of Chinese 'Bleu de Hue' Vietnamese market wares, 19th C.
256: Six Chinese blue and white 'Bleu de Hue' covered bowls for the Vietnamese market, 19th C.
257: A varied collection of Chinese 'Bleu de Hue' Vietnamese market wares, 19th C.
258: A varied collection of Chinese 'Bleu de Hue' Vietnamese market wares, 19th C.
259: A Chinese blue and white 'Bleu de Hue' Vietnamese market bowl, Nei Fu mark, 19th C.
260: A Chinese blue and white 'Bleu de Hue' Vietnamese imperial bowl, Thieu Tri mark, 19th C.
261: A Chinese blue and white 'Bleu de Hue' Vietnamese imperial bowl, Thieu Tri mark, 19th C.
262: A Chinese blue and white 'Bleu de Hue' Vietnamese market meiping vase, 19th C.
263: A collection of blue and white Annamese Hoi An Hoard wares, Vietnam, 14/15th C.
264: A blue and white Annamese water jug, Vietnam, 14/15th C.
265: A collection of blue and white Annamese wares, incl. 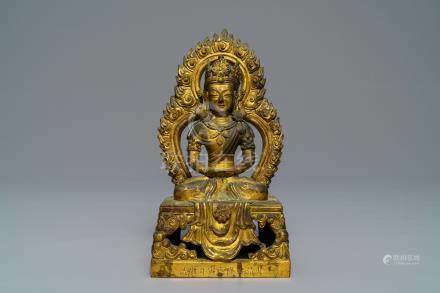 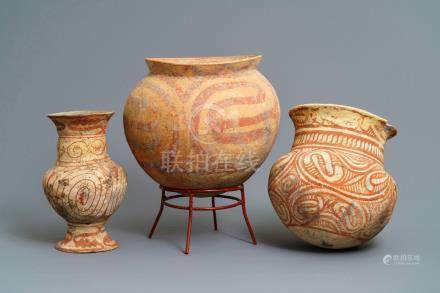 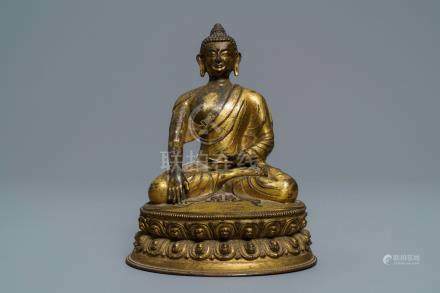 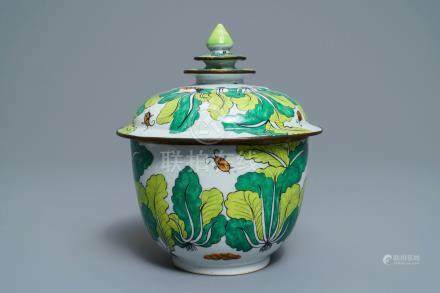 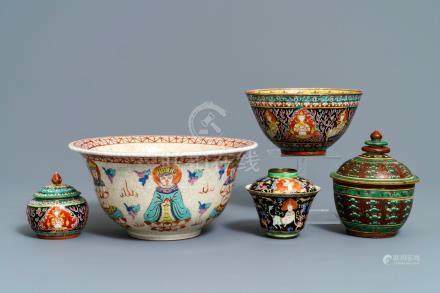 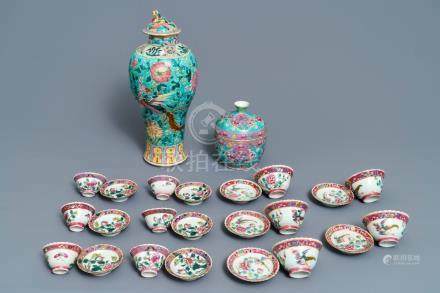 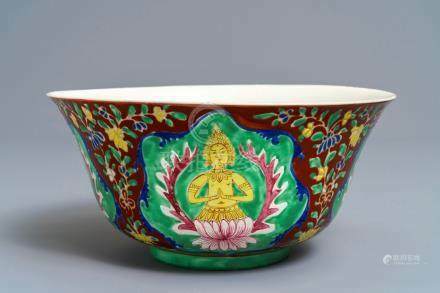 Hoi An Hoard, Vietnam, 14/15th C.
266: A large Chinese Thai market Bencharong bowl, Yongzheng mark, 19th C.
267: A large Chinese Thai market Bencharong bowl and cover, 19th C.
268: A large Chinese Thai market Bencharong bowl, Yongzheng mark, 19th C.
269: Five Chinese Thai market Bencharong-style bowls, 19th C.
270: Three Ban Chiang culture pottery jars, Thailand, 600 - 300 b.C. 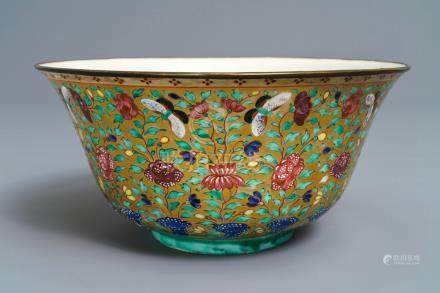 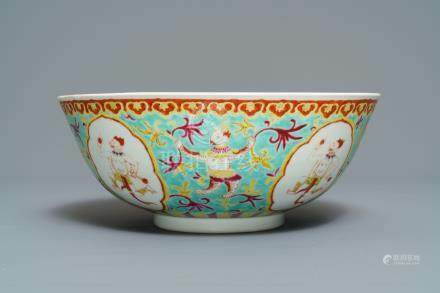 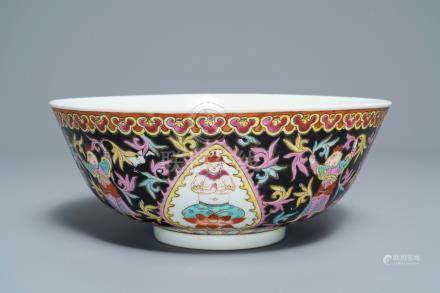 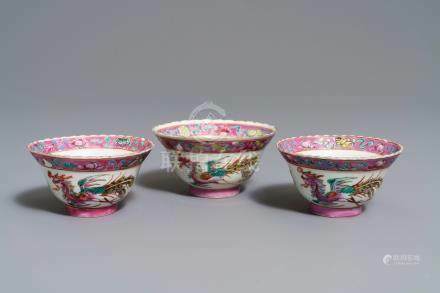 271: A large Chinese Thai market Bencharong bowl, 19th C.
272: A large Chinese Thai market Bencharong bowl, 19th C.
276: A Chinese silver-mounted famille rose Peranakan or Straits market kendi, 19th C.
277: Three Chinese famille rose Peranakan or Straits market bowls, 19th C.
278: Six Chinese celadon bowls and a pair of bowls on stands for the Peranakan or Straits market, 19th C.
279: A collection of Chinese famille rose Peranakan or Straits market cups and saucers and a vase, 19th C.
280: A Chinese Peranakan or Straits market gilded and lacquered altar cabinet, 19th C.
281: A gilt bronze figure of Buddha Shakyamuni, Tibet, 15/16th C.
283: A Sino-Tibetan gilt bronze figure of Yama Dharmaraja, 18/19th C.